We couldn’t help ourselves. It’s been too fun spending our Sundays outside not to do one more Mister Sunday before we close up shop for the season. 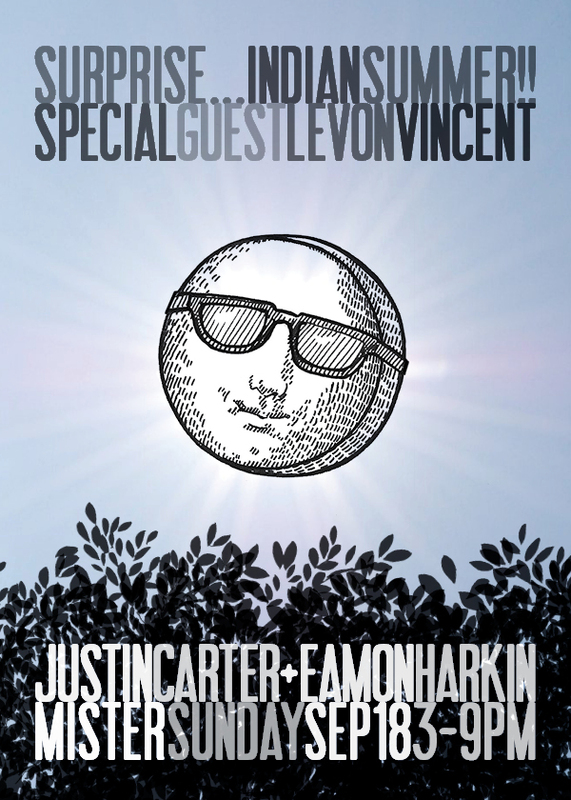 In two weekends, on September 18 (the day after we welcome Pépé Bradock to Mister Saturday Night), very special guest and hometown hero, Levon Vincent joins the boys for an Indian Summer Mister Sunday.